SOWMA tutor Betsy with student Sulexy. 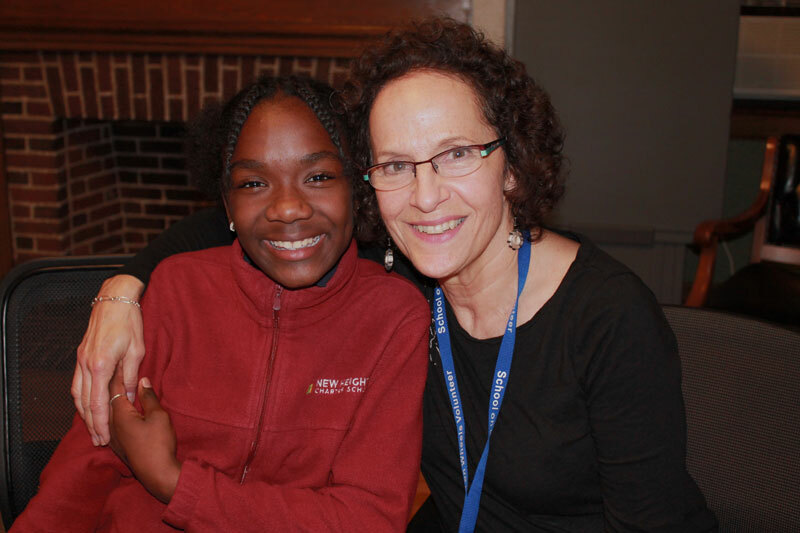 Your tax-deductible gift to our Annual Appeal will provide more students in Massachusetts facing homelessness with a personal tutor, mentor and the supplies they need to stay focused on school during times of disruption. Consider making a Tribute in the name of a loved one or company to celebrate the gift of education. Since our founding in 2004, we have distributed more than 15,000 new and customized backpacks, tutored more than 2,800 students and celebrated 25 college graduations. Christina was the first in her family to attend college. 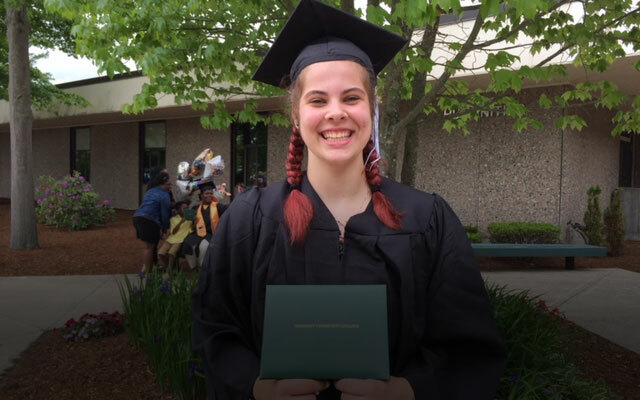 She credits her success to David Ness, her longtime SOWMA tutor and mentor. 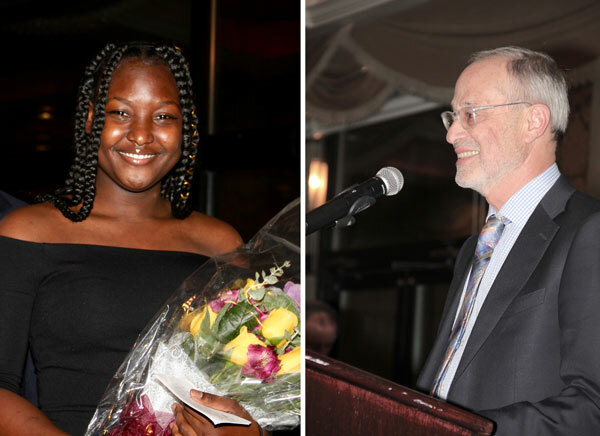 David kept her focused on her studies throughout middle and high school despite the disruption and uncertainty of homelessness. Today Christina is a confident college student who embraces academic challenges using the discipline and tools she learned from David. "If I didn't recall all of the principles of chemistry," said David at our recent gala, "I'd ask her explain it to me so I knew she was on track," he laughed. David began this academic year circling back to where he started, tutoring another student facing homelessness. This time when the chemistry assignments arise, he'll remember the lessons he learned from Christina. 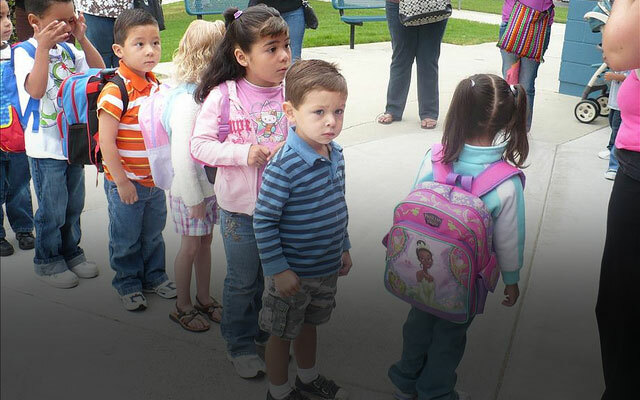 There are more than 21,000 homeless children enrolled in Massachusetts public schools. Only 1 in 4 homeless teens will graduate from high school. The mission of School on Wheels of Massachusetts is to support the academic, social and emotional growth of students impacted by homelessness. The vision of School on Wheels of Massachusetts is for all students impacted by homelessness to have the academic, social and emotional support necessary to achieve a bright and productive future that will help end the cycle of homelessness.